Each year, the IEA’s Tracking Clean Energy Progress (TCEP) report examines developments across a range of clean energy sectors and technologies. 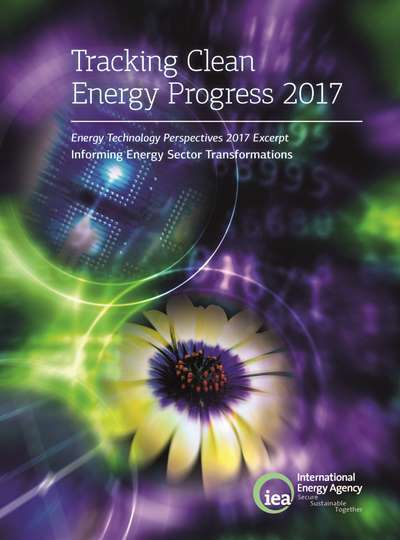 The TCEP uses benchmarks for 2025 as modelled in Energy Technology Perspectives 2017, as well as the milestones identified in the IEA Technology Roadmaps. Measuring against these benchmarks provides an assessment of whether technologies, energy savings and emissions reduction measures are on track to achieve the longer-term emissions objectives by 2060. The report evaluates whether a technology or sector is on track, needs further improvement, or is not on track to meet these targets. Trends are assessed with reference to technology penetration, market creation and technology development. Questions used to evaluate progress include: What is the current rate of technology deployment? What share of the overall energy mix does the technology represent? What mechanisms are in place to enable and encourage technology deployment, including government policies and regulations? What is the level of private-sector involvement in technology progress through deployment?